This remote wilderness park, known for its diverse wildlife and spectacular scenery, is centered in British Columbia’s Rocky Mountain Trench. The park encompasses portions of the 250 kilometre Kechika River – a provincial heritage river and BC’s largest unlogged watershed. The Kechika was designated a heritage river in 1996 for its outstanding ecological and wilderness recreation values. It also includes two of its major tributaries: the Frog River, flowing from the Cassiar Mountains on the west side, and the Gataga River, merging from the northern Rockies to the east. Hunters, hikers, river rafters and canoeists comprise the majority of visitors to this spectacular wilderness. Established Date: April 5, 2001 for the park and April 18, 2001 for the protected area. Park Size: 346,833 total, with 330,774 hectares for the park and 16,059 hectares for the protected area. Visitors to this extremely remote area must be self-sufficient and highly experienced in the outdoors. Dune Za Keyih Provincial Park is located in British Columbia’s Rocky Mountain Trench between Denetiah Provincial Park to the northwest and Kwadacha Wilderness Provincial Park to the southeast. The park encompasses portions of the 250 kilometre Kechika River. It also includes two of its major tributaries: the Frog River, flowing from the Cassiar Mountains on the west side, and the Gataga River, merging from the northern Rockies to the east. Access to the area is best accomplished via floatplane or helicopter. Jet boats can navigate up-river - however, jet boats are not allowed past log jam rapids on the Gataga River. There are opportunities for canoeing or kayaking in this park. The Frog River is for experienced paddlers only. The Gataga River is an excellent seven day trip from the forks of the Upper Gataga to Terminus Mountain in Denetiah Provincial Park. There are private excursions into this park. View the Northern Rockies Lodge’s webpage for more information. Anyone fishing or angling in British Columbia must have an appropriate licence. There are private excursions into this park. 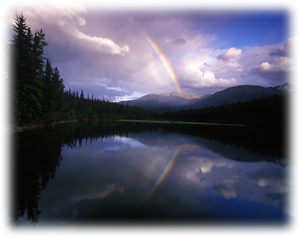 View Northern Rockies Lodge’s webpage for more information. There are hiking opportunities at this park. For your own safety and preservation of the park, obey posted signs and keep to designated trails. Shortcutting trails destroy plant life and soil structure. The park is open to hunting. All hunters to the area should refer to the current BC Hunting & Trapping Regulations Synopsis for more details and information. No cabins, yurts or lodges for public use. There are private accommodations available for this park. View the Northern Rockies Lodge’s webpage for more information.